Anyone can explore, try and imagine your companies know-how in less than five minutes! Long texts on a website are not a bad thing. But in the first step nobody will read them. We promise, after your visitor is done with the innea showfloor he is interested in your business and keen on learning more about it. We like to keep things as simple as possible for your visitor. One click brings up the control device and nothing stands between you and the automation experience. No fiddling around between different views, just click and enjoy. Follow a shortcut or teaser to the demo (#1). Bring up a control device (#2). Do a macro call (#3). The wow effect happens right now! 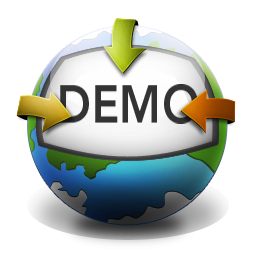 Your visitor will be keen on exploring more and more of the demo and your website. Your visitor jumps to your online showroom. Your visitor sees your beautiful showroom. And it tells him what he can do with it. We place the macro functions right on top. With one click your visitor experiences powerful functions like ‘Cinema’! From light to media your visitor experiences your system. With every step he learns more. It’s an exciting new world! Now the magic happens. Your visitor wants to know more about your services or wants to get in contact with you. Offer him a button to do that! Don’t miss our whitepaper about this topic! The innea dock is one of our best inventions. Your products are presented on an aesthetic black surface. It’s super easy to pick a device and you see at one glance what’s happening on the device and in the room. Lean back and control! You will see the same dock in our salestools. Our marketingtools stand out in every aspect. 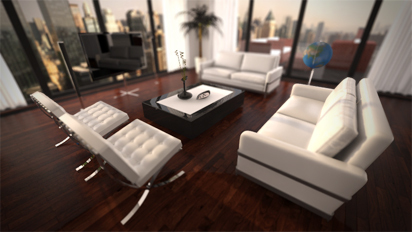 You get a photo-realistic showroom, powered by cutting edge technology. There is no abstraction required by your visitors. Vivid automation technology, carefully integrated into the modern clean architecture, awakes the wishes and desires of your visitor and brings his visions to life. Our webdemos equal each other, for your benefit: The same user interface, the same interaction design, the same integration into your website. The goal is: More website visitors turned into prospects. We crafted guidelines on how to achieve this with our tools. 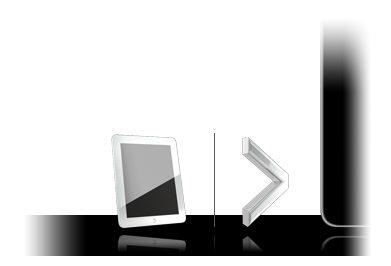 In just two steps you have put the showroom on your server and can easily embed it into any of your websites.